The process revolves around writing out short documents called feature briefs. In this tutorial, I will walk you through the process of writing a brief. You can access a downloadable template of a feature brief at this link. Before writing a single brief, you should start by setting up and populating a backlog of proposed features. This will be a place where every member of the team can and should submit ideas to add to the game. I highly suggest using a Google spreadsheet for this backlog. Your format will be your own, but I suggest each feature have a name, KPI, estimated implementation effort, 3 sentence description and comments section. As briefs are written, the name of each feature is turned into a hyperlink to the document. This list can then be prioritized by the team and sorted on the key axis of design intention and development effort when choosing which features to add to the game. KPI stands for key performance indicator. In the instance of a live game, this correlates to specific metrics that the game team wishes to focus on. The standard KPIs are Retention (keeping players in the game over a series of days), Engagement (length of play time per day), Virality (number of new players an existing player attracts to a game), Monetization (if free to play, the amount of money spent in game) and Quality (will improve the game’s critical rating/user reviews but will not have a direct impact on measured metrics). Depending on your game and business model, your team will determine the appropriate KPIs to obsess over. Even if your process focuses on minimal documentation, it is important to recognize that people will generally read as little as necessary. Therefore, I recommend starting feature briefs with a short, high concept section that another person can quickly digest to understand the feature. As you can see, this information is just a slight expansion on what was found in the backlog. Once it is time to write a detailed feature treatment for implementation, you will need to spec out the user interface and flow fully. But at this early stage, I recommend making a single mock up of the feature to help solidify the design and make it clearer for more visually oriented team members. A feature brief should include at least one image. 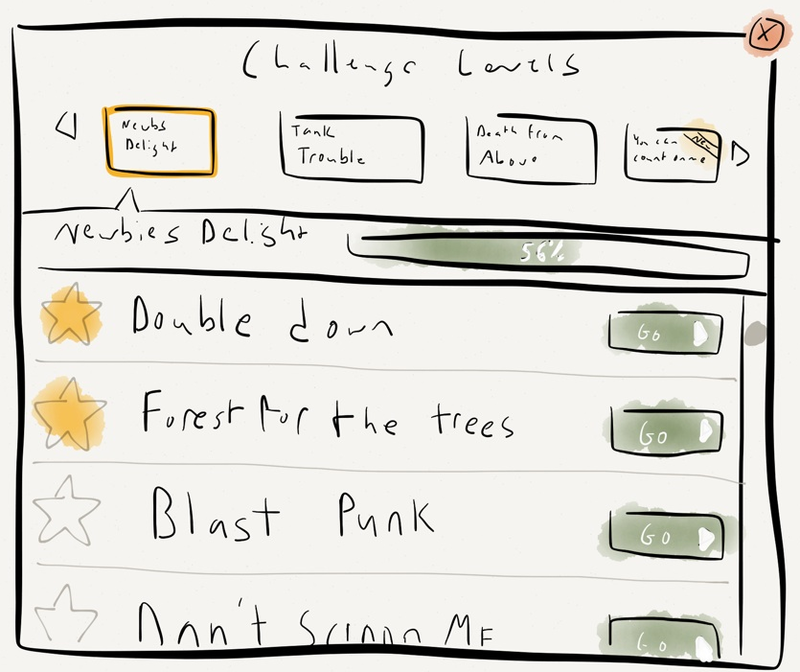 This can be a mock of the interface the feature will require, a storyboard to show how the player will use the feature in the game or some other form of visualization. In a single image, paint a clear picture of how the feature will manifest for the player. Finally, you should list out all the major sections of the feature and write a one to two paragraph description of each. Again these are not full implementation details; they are just enough information to get the feature out of your head and onto paper in a way that you can evaluate with your team. Brevity is key at this stage. If you find that your feature brief is going beyond 2 or 3 pages, it is probably an indicator that you should split your concept into multiple features. Your goal is to write just enough information to communicate the design intentions to your team. Feature briefs are quick to write. Instead of spending two full weeks speccing out every detail of Enhanced Wars, I can populate a backlog and write briefs for two years worth of development work in a few days. By following this process, you can get ideas out of your mind and onto paper in a format that your team evaluate it for implementation. Now that you have the briefs, you can decide which features will be developed and write more detailed treatments as they are required. You can download the template at this link.